Courtesy of Realty Executives Associates. *Under Construction* This home is an incredible value with all the benefits of new construction & a 10 yr. structural Home Warranty! Model Home Open 7 days a week – Mon-Sat, 10:00am-6:00pm & Sunday, 1:00pm-6:00pm. 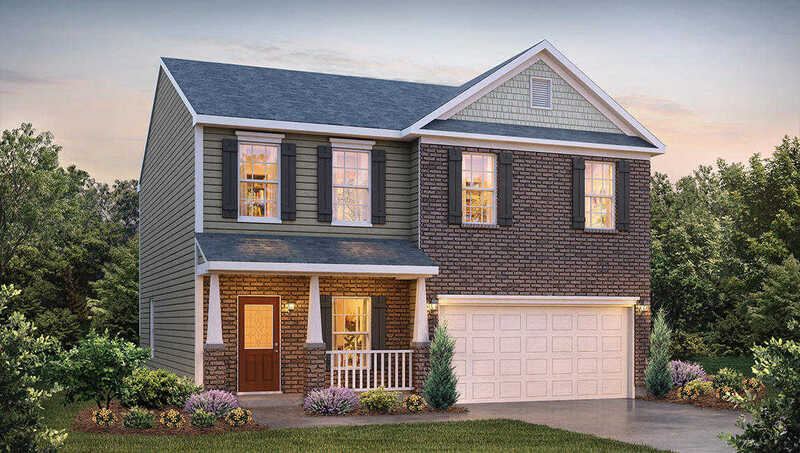 When using builder’s preferred lender & title co, buyer will receive a portion of closing costs paid & a Move In Package consisting of side-by-side refrigerator, 2” window blinds, & garage door opener w/ purchase of this home. Taxes listed are an estimate. Please, send me more information on this property: MLS# 1061809 – $214,455 – 5469 Calvert Lane, Knoxville, TN 37918. I would like to schedule a private showing for this property: MLS# 1061809 – $214,455 – 5469 Calvert Lane, Knoxville, TN 37918. © 2019 Leza Barnard — RE/MAX EXCELS — Jim Davis. All Rights Reserved. Real Estate Website Design powered by Home Junction. This information is provided exclusively for consumers' personal, non-commercial use; that it may not be used for any purpose other than to identify prospective properties consumers may be interested in purchasing, and that data is deemed reliable but is not guaranteed accurate by the Knoxville Area Association of REALTORS®. Copyright © 2019 Knoxville Area Association of REALTORS®. All Rights Reserved.